Community Blog by Fuzunga // This guy right here is the true insider! This guy right here is the true insider! - A witty saying of some sort. I've blogged about video games for over 14 years at Installation 04, in case you're interested in reading over a decade of posts about games and other miscellaneous things. Speaking of cartoons, I watch them almost exclusively, with some anime thrown in for good measure. Current favorites: Steven Universe, Rick and Morty, Star vs The Forces of Evil, OK KO, and RWBY. As for games, I'll play just about anything. My first consoles were an N64 and a Gameboy Pocket. 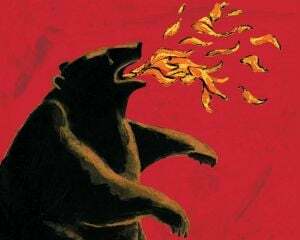 If you see the fire breathing bear around the web, it's me. I'm a goofy goober.